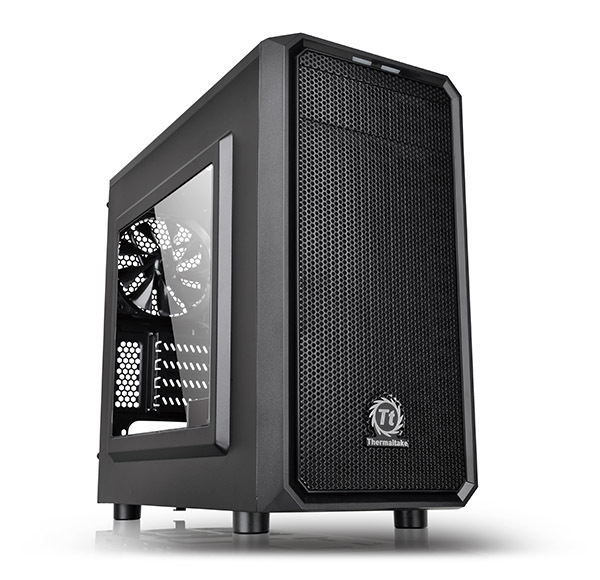 Thermaltake new Versa H15 window micro case is ideal for home-computer builders and gamers. The ample ventilation options, cleanable air filter, and a perforated mesh bezel help to keep the entire system cool and dust-free. Versa H15 combines a manageable frame size with extensive options to customize user’s computer or gaming system. Designed for gamers, perforated top panel build for easy heat dissipation and rapid air intake for maximum ventilation. The heighten foot-stands at the bottom help to enhance airflow. Featuring a transparent side window to offer a direct view of inner system.